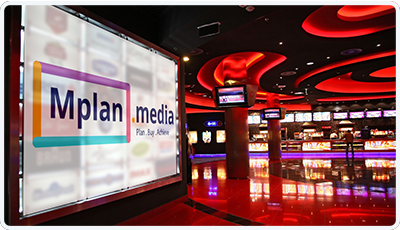 Mplan media is one of the leading Multiplex advertising agency located in Bangalore. Discover the best rates for leading cinema chains like Cinepolis, PVR & INOX covering popular malls like Forum Koramangala,Orion Malleshwaram,Phoenix whitefield , Garuda Mall Brigade Road & Central Mall JP Nagar. Click Here to know about our offerings : Mall Advertising and to get an insight on Multiplex advertising with Mplan Media.